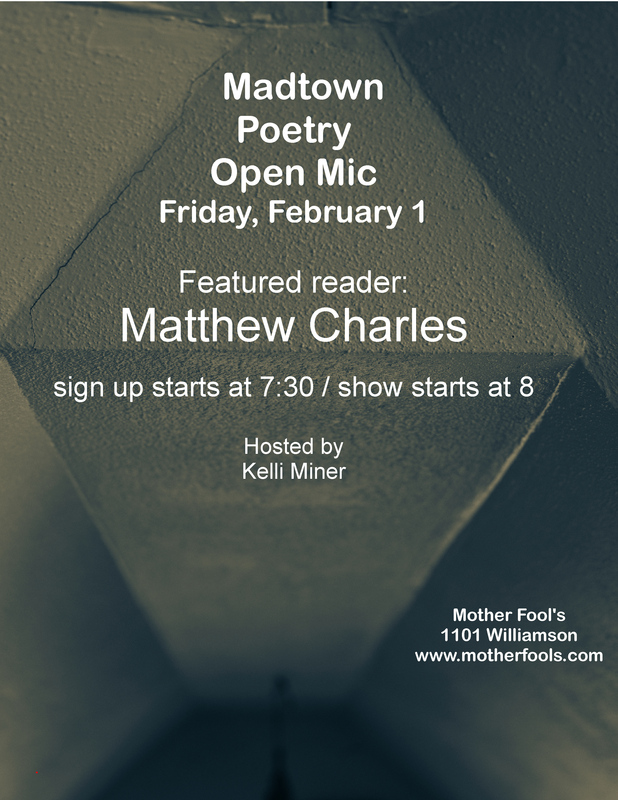 Featured Reader: Matthew Charles is a poet with a decade of experience. A frequent pop-up at Just Bust, Matthew also has competed at the National level at NPS in Chicago last summer. With his poetry Matthew wants to explore what it is to be the type of vulnerable that encourages and galvanizes others into that safety risking thing we call intimacy - which every human needs - but increasingly we are afraid of. A hallmark of his art is it’s honesty, and themes include family, adoption, faith, race, trauma, and overcoming. His art tends to be quite heavy and it is in that heaviness that the audience is able to connect with him. Sign up starts at 7:30. The event will start at 8 with the featured reader.